Tony, has placed a picture of his desktop picture on his website with the question, "Does your desktop picture say anything about you?" 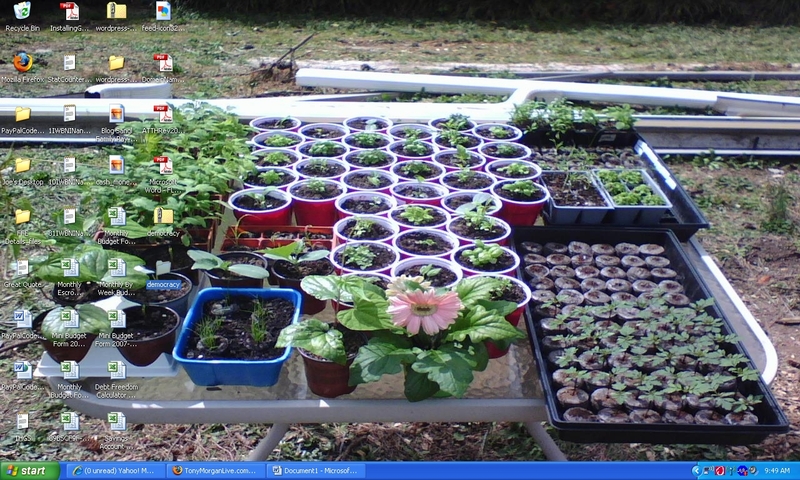 So I am posting my desktop picture to see if it does say anything about me. What do you think? Does my desktop picture say anything about me? so you’re officially the green thumbed guru? You enjoy the fresh air? You like looking at greenery?